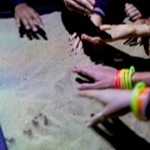 Rafael Lozano-Hemmer - Project "Sandbox"
Sandbox is a large-scale interactive installation created originally for Glow Santa Monica. 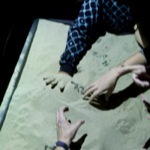 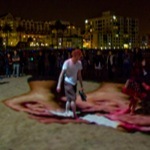 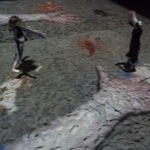 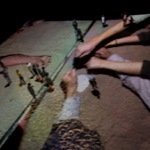 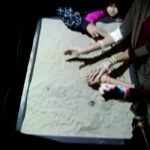 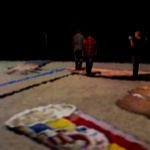 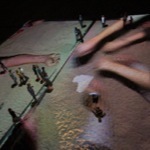 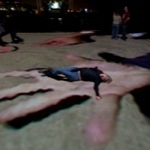 The piece consists of two small sandboxes where one can see tiny projections of people who are at the beach. 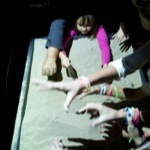 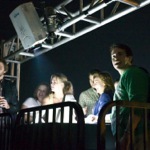 As participants reach out to touch these small ghosts, a camera detects their hands and relays them live to two of the world's brightest projectors, which hang from a boom lift and which project the hands over 8,000 square feet of beach. 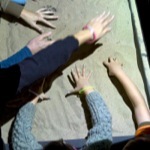 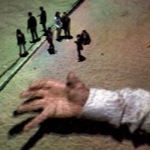 In this way people share three scales: the tiny sandbox images, the real human scale and the monstrous scale of special effects. 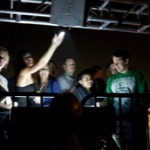 The project uses ominous infrared surveillance equipment not unlike what might be found at the US-Mexico border to track illegal immigrants, or at a shopping mall to track teenagers. 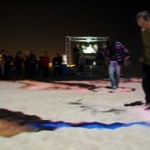 These images are amplified by digital cinema projectors which create an animated topology over the beach, making tangible the power asymmetry inherent in technologies of amplification. 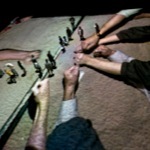 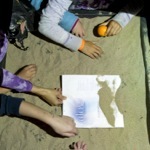 Sandbox, Llum Festival, Barcelona, Spain, 2019. 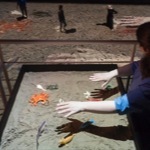 Rafael Lozano-Hemmer: Decision Forest, Amorepacific Museum of Art, Seoul, South Korea, 2018. 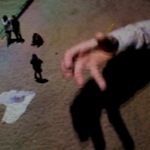 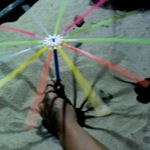 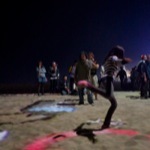 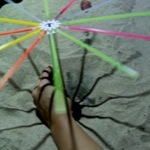 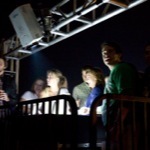 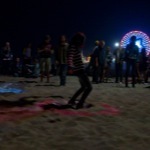 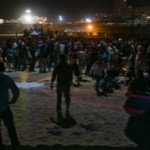 Glow, Santa Monica Beach, Santa Monica, California, United States, 2010.